In the year of 2010 I with my friend, Adam, a Polish, went travelling in and around of old Hyderabad city. 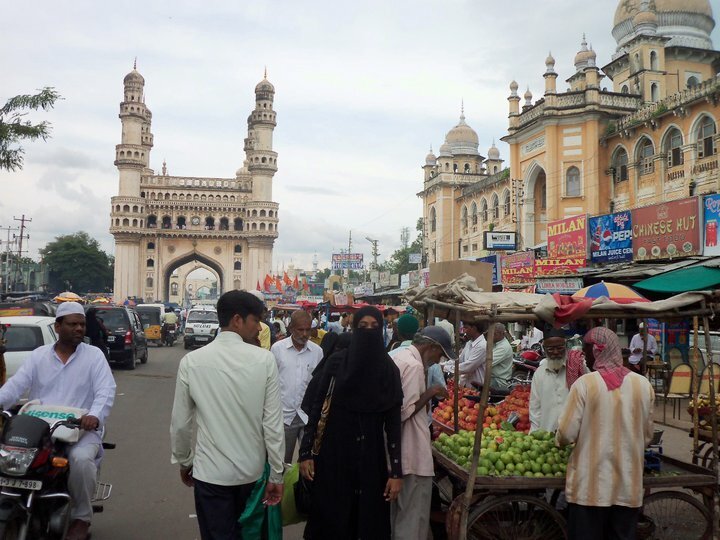 We went there around 4 PM, checking the Charminar tower, the market, and of course enjoying the biriyani. A stark contrast to the modern life in new Hyderabad in the North, there are many signs of old traditional Indian lives everywhere. 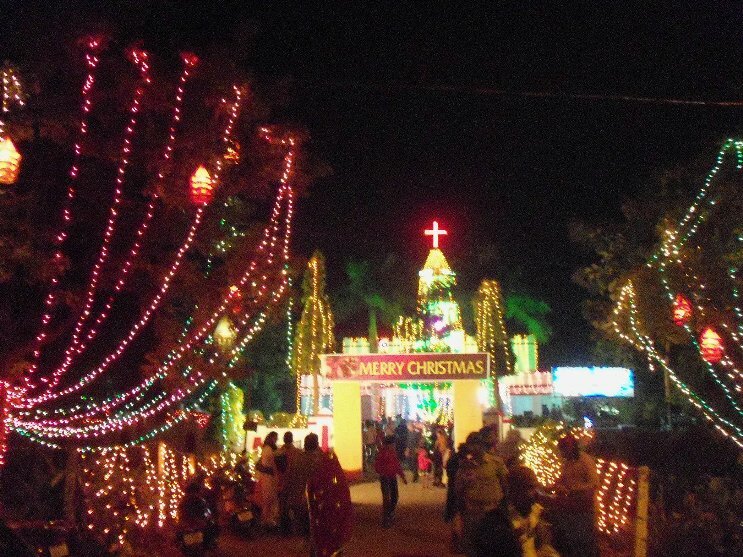 Majority of the population over there are Islam so those religious tradition and decoration are also there to be counted. I love the city and wanna be back there again. In October 2010 I went to Hyderabad for AIESEC International Congress 2010 in India, in Indian School of Business. During the time off I use my space to visit the old Hyderabad in the SOuth of the city with my Polish friend, Adam. It was located quite far away from the North West where the ISB is located. I travelled there by bus. Funny enough I had difficulty when trying to check which bus I could use to reach Old Hyderabad. But after minutes of thinking, I finally can say ‘Charminar’ to the bus driver and after several buses I finally get it. I jumped on the bus at 2.30 PM and finally reach the bus station near Charminar at 3.30 PM. Eleven months staying in India, I had my privilege to taste colorful yet spicy Indian cuisine. Ranging from North India vegetarians , Hyderabad birianies to the vast numbers of South Indian foods and snacks. And I can say, Poori is my most favorite food followed by Biriyani. It is a plain simple snack, and it definitely has robbed my mind especially when eating it. How to describe? It is thin, oval, empty inside, tasty, crispy, and blended perfectly when eaten with potato curry. Ehh, just see my pic below..
Usually served as breakfast meal, it can be found anywhere in India as it has transformed into a somewhat unofficially national (popular) Indian cuisine/snacks along with vada, idli, and samosa. From the snack stalls located by every street in India cities, small food centers, cafe, and high-class restaurants. The cheapest, by the street, usually cost Rs 3-5 per piece, and the big one at restaurant usually cost Rs 25-35 per piece, plus potato curry. So what can be said about this? To begin, I am not and never a cricket fan, I even don’t have any idea about how the game should be played in a simple words. Just hit and run? when I was carrying my suitcases to the office..
to the land that delivered me enough hopes and memories..
of stand and fall along the curve..